The head of UK’s Government Digital Service, Stephen Forshew-Cain, predicts a future where agile processes make government services simple, clear, available, and fast, reports ComputerWeekly. 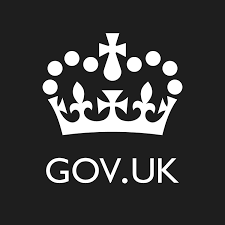 At the TechUK Public Services 2030 conference in London, Forshew-Cain indicated that the civil service is undergoing an historic transformation focused around agile services creation and government as a platform. These changes will form the basis for the future of digital government as silos are broken down and evidence-based decision making drives the creation of relevant, easy-to-use government services. “We have to work together to accelerate progress. If not, the dream of a digital public sector will slip from our grasp,” he said. He added that what technologies will be important and have an impact on our lives is “mostly unknowable”, and the government needs to be able to respond quickly to developments. “Everything will change constantly at an accelerated pace of change. We know the change will be inevitable and unavoidable, and it will happen whether the government wants it to or not,” he said. Read more on this topic at ComputerWorldUK and Government Computing.